Colleston serves as the Vice President of Systems Impact for Teach for America. 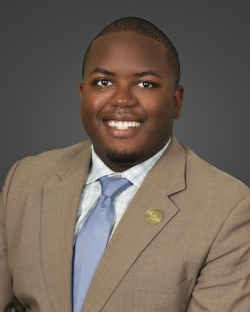 During the Fellowship, he served as Chief Strategy Officer for the Orleans Parish School Board. In that role, Colleston coordinated the development and implementation of the district’s plan to unify New Orleans’ system of public charter schools. In addition, Colleston oversaw the district’s data and analytics functions and facilitates district-wide policy development and intergovernmental affairs work. Colleston joined OPSB as a founding member of the district’s Charter School Office, and during his tenure with the organization, Colleston helped to develop and lead all aspects of the district’s authorizing function, including overhauling the district’s charter school policies, managing the charter school application process and development of citywide authorizing strategic priorities, and leading the development of the district’s first School Performance Framework. Colleston's prior work in education includes time with the Superintendent's Delivery Unit at the Louisiana Department of Education and classroom experience as a Civics, Free Enterprise, and World History teacher at G.W. Carver High School in New Orleans, where he was recognized as the school’s Teacher of the Year. Colleston earned an A.B. in Government from Harvard University and an M.P.P. from the University of Chicago.